She Writes Press, 9781631523472, 256pp. Interest in Ayurvedic cooking has exploded over the past two decades, with Deepak Chopra, Vasant Lad, Smita Naram, and other respected teachers popularizing India's ancient wellness system across North America, Europe, and Australia. 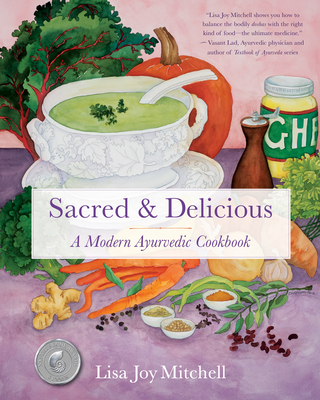 Sacred & Delicious is a food memoir, a primer on India's traditional dietary approach to wellness, and a glorious cookbook--with 108 enticing gluten-free and vegetarian recipes (most with vegan options), and more than 60 full-page four-color photos. This book celebrates the healing power of food and spices, embodying ancient Ayurvedic wisdom while appealing to a modern American palate and dietary needs. With this book in hand, readers can sustain or regain their health and vitality . . . deliciously.